Agile Guitars are quickly building a reputation for high-quality instruments at super-affordable prices. 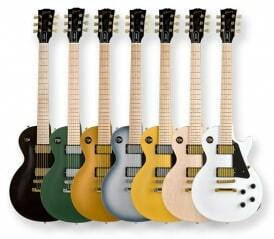 One of their best offerings is the AL Series, which are classic-looking, vintage-approved Les Paul/Singlecut-style guitars that pack a lot of bang for the buck and give players access to looks and tones that had to be scrimped and saved for in previous eras. The Agile AL-3000M features a neck-thru design with a wide profile that provides everything a Les Paul-jones-ing picker could want at a fraction of the price of a Nashville Gibson. 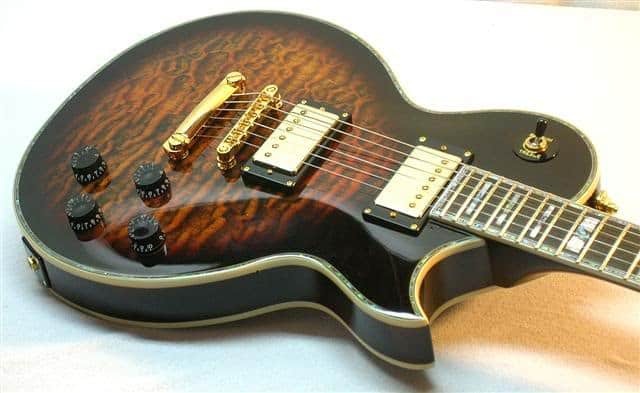 the guitar also features a solid mahogany body with a maple cap, a one-piece mahogany set neck with an ebony fretboard and abalone inlays, and 22 jumbo frets. Electronics on board include two Type V Alnico humbucking pickups for generating warm, traditional tones, improved pots and output jack, and 18-gauge American wire to tie everything together. Controls are separate volume and tone knobs for each pickup and a three-way pickup selector switch. Hardware on the AL-3000 includes a Gotoh bridge and tailpiece and Grover tuners, all in nickel. Other cool features found standard on the Agile are GHS Strings straight from the factory and a professionally cut bone nut, although a pre-cut graphite nut is included in the accessory bag with the truss rod wrench for those who prefer the material at no extra cost. The AL-3000M current available in sunburst, black, and natural finishes. The Agile Guitars gets high marks from players in the field who have spent time living and gigging with the guitars. It is an extremely versatile instrument well-suited for blues, rock, jazz, or any other style of music. It is produced in Korea but is made to a high standard and fit and finish found here is on par with anything in its price range (around $600.00 MRSP) and beyond. The AL-3000M is an excellent choice and worthy contender for anyone looking to pick up an Les Paul-style guitar without breaking the bank. Get one of these and you may never utter the “G word” ever again.